When i first got an email from Paul Sullivan back in August of 2015, I knew there was something different about this bloke…..clinical, efficient and to the point, Mr Straight Shooter. 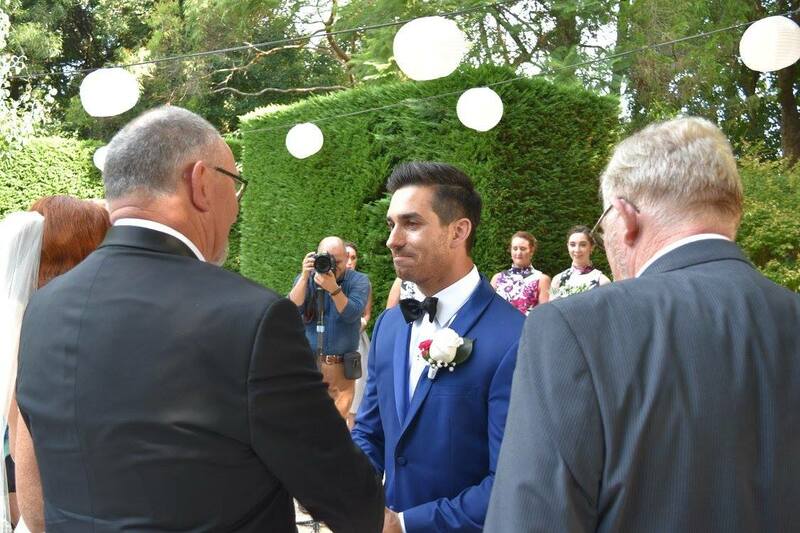 Paul was probably the ‘first’ of MANY grooms to do the talking, I then met Paul and Emma and we had a great chat in my office…fantastic people and I really hoped they’d choose me as their celebrant because I knew I could make their day ‘exactly’ what they were after. 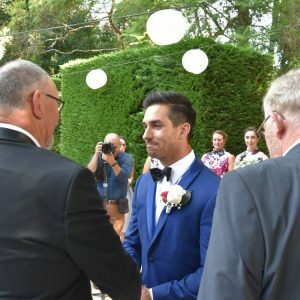 They did tell me during the chat that they did have someone else in mind – which happens, I run a business and can understand if I don’t match a particular client – but thank goodness I got the email from Paul asking me to be their celebrant…it was now time to step up to Paul’s lofty expectations! Both Emma and Paul knew exactly what they wanted and after getting to know them really well and chatting with them in their lovely home, I knew what I had to give them. 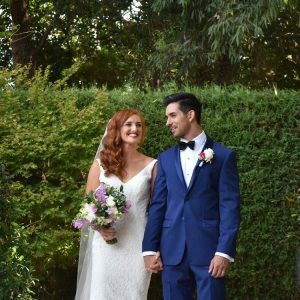 Every client is different, of course as is every couple…I liken myself to a chameleon, adapting to every couple to blend in with what they want and this was going to be easy with Paul and Emma. Emma’s easy going and laid back, but could quite easily be a little feisty too! Paul is Mr OCD, very structured and was always keen to know how the wedding was going to pan out, and I loved working with him…he just wanted for everything to go well and be “perfect”…for Emma, it was clear this wasn’t so much for him, Paul Sullivan was making his wedding day amazing for his new bride…AND HE DID IT! 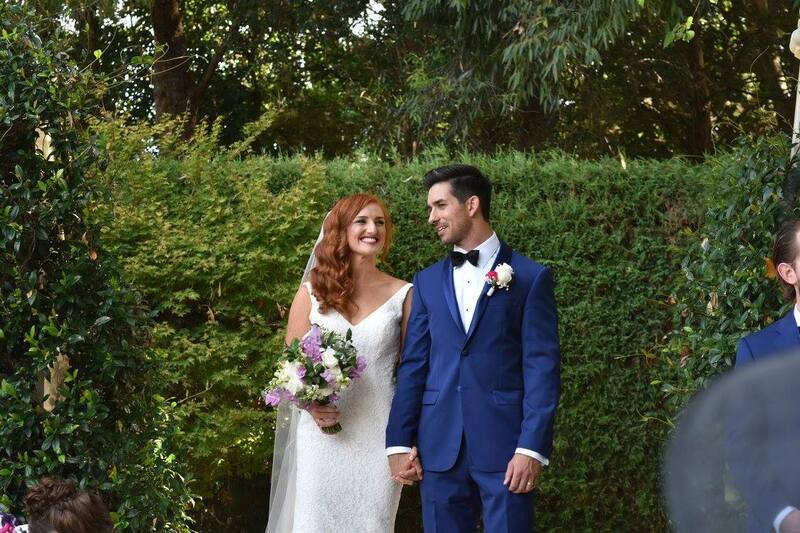 The day started with a quick check on Paul and obviously he was ‘FREAKING OUT’, most grooms are nervous…but Paul wanted this day perfect for Emma, he even said to me, ‘I don’t mind, but make sure this is great for Emma’. When Emma walked down the aisle towards Paul, he had tears welling in his eyes, Emma looked amazing!! You could see the immense joy that this beautiful lady was about to become his wife. It was at Gin Club, a gathering of the alcoholic minds you might say….a young man called Sully brought to the party by Murray, was introduced to Emma at Jess’s place. Now Jess and Murray will actually take credit for what’s going on today, but let’s face it all they did was push them together, Paul and Emma did the rest! Falling in love is fun! For Emma and Paul, it happened over a Christmas Tree in 2010. After putting the tree up together, Paul told her for the first time, “he loved her”. Emma’s response “are you sure!” Emma knew that when she was away from Paul he wanted him in her life and when with him, she felt safe, happy and content. Emma says ‘she is still falling in love with Paul everyday’. Now this I’m finding hard to read, but it’s true… He cooks, he cleans, he helps with the laundry, he makes the bed. He is so creative and such a great handy man! Emma loves that Paul gets on with her family unbelievably well! All of the Simpson’s just love him. Paul likes that he can be himself around Em, that they work together really well as a team. Their similar values even though they have very different personalities and therefore balance each other. That’s all the good, so the bad! Paul appreciates that they are both very stubborn about driving and has learnt to just give in. As we know Em fidgets and Paul can’t stand the fidgeting. Emma has already said that he challenges her, but to the point of whipping out the phone for Google, can sometimes be a bit much! Emma was not a fan of the fashion sense but has admitted that is has improved mysteriously over the last 3-4 years. Now for The Ugly! Paul makes that face that she hates – but he still does it just to get a reaction and that’s the only Ugly to be honest! Wanting to be with someone forever is a huge thing and for Emma, it was after 10 months, because Paul went overseas. While Paul was away, Emma could’ve gone out to play, instead they both thought about each other, that brought on an interesting nickname – ‘ganoushi’ – when they were phoning each other they would call each other ‘bub’. Throughout communications while Paul was away it started to get elaborated..it went from Bub, to Bubby to bubba to bubbaganoush then shortened to ganoushi. And now and forever more, they are The Ganoushi’s. Then after some laughs and signing of the ‘official stuff’, they became husband and wife! 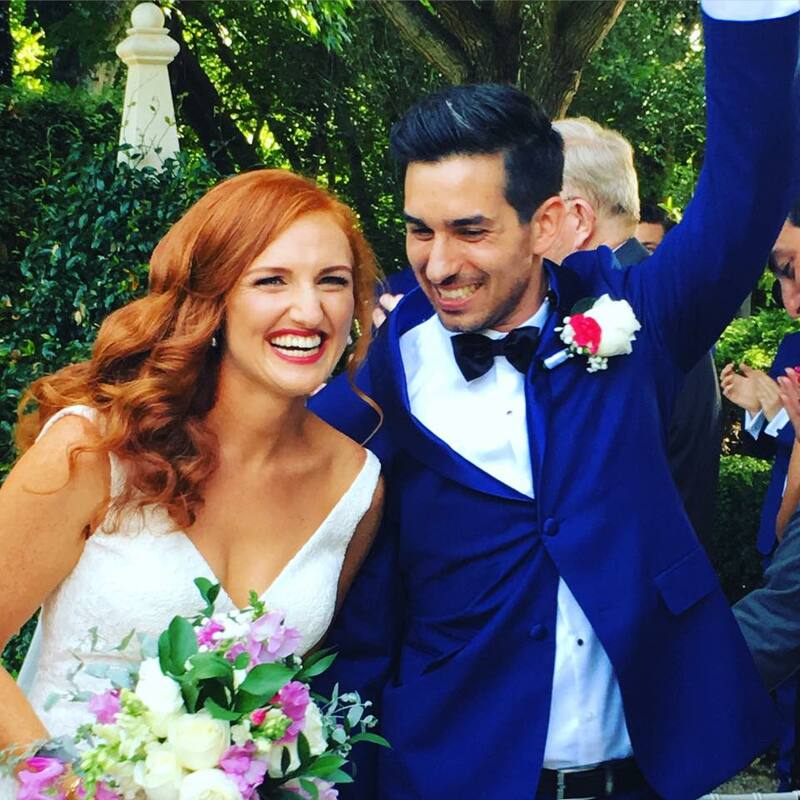 Congratulations Mr and Mrs Sullivan…The Ganoushi’s! I wish you a long life filled with happiness, love and many laughs…and may you forever enjoy Gin Club!!! 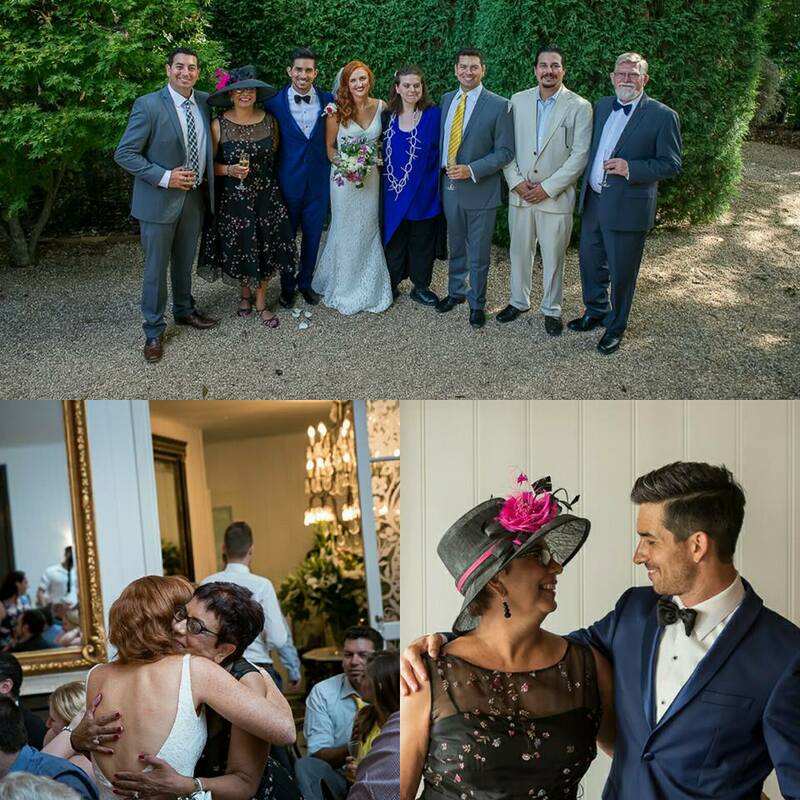 To top it off, I received a wonderful email from Emma….THE DAY AFTER! Wow, what an amazing job you did yesterday! Everything you did was just amazing. Our day was perfect, and it was set off to an absolutely flying start thanks to you. The “Your Story” you conjured up was perfect, so many guests appreciated a refresher/some insight into the life of the ganoushi’s. 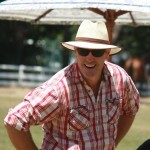 Many people made a point of telling us how great our celebrant was, and our parents and family loved what you did. It means a lot to us that you were so perfectly prepared (for all mishaps – ahem Paul). So thank you again, so much! You truly helped make our day as magical as it was. I am sure we will be catching in the near future. There are 0 comment. on "Welcome…The Ganoushi’s"